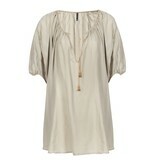 Soft kaftan dress with golden embroidery along the neck and arm openings. 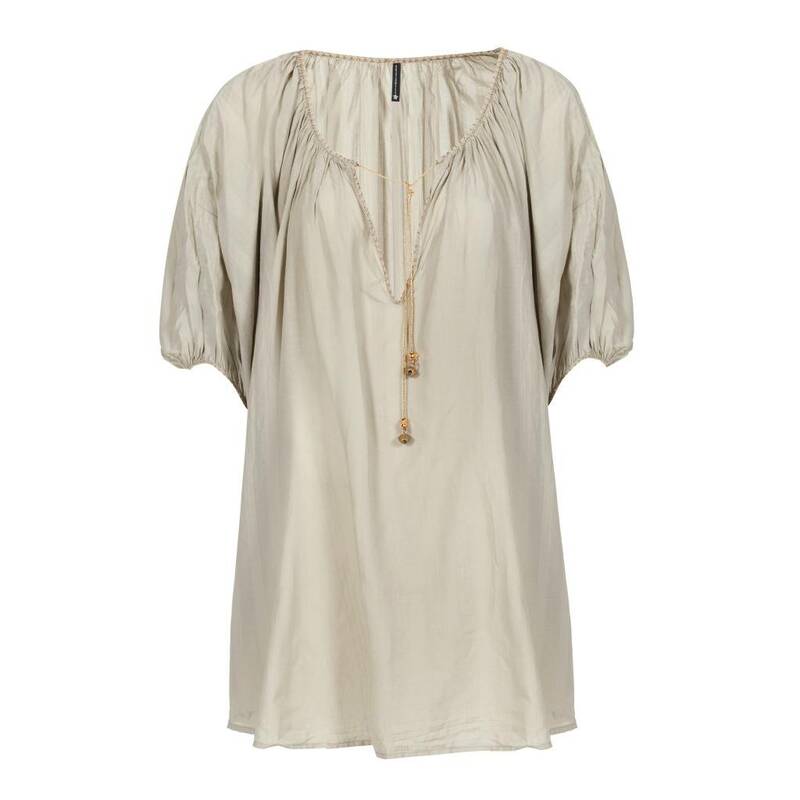 Delicately finished with an golden flower and Indian Bell. 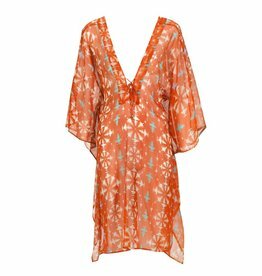 An elegant yet comfortable beach kaftan for Summer strolls and evening drinks.